The US needs a Secretary of Development of equal rank to Secretaries of Defense and State (and, btw, Commerce and Homeland Security and Treasury and Labor, etc). Thanks to Nancy Birdsall from the Center for Global Development for spotlighting the basic issues in her piece After 100 Days, What about Development? If the Three D’s -- the three-legged foreign policy stool of Defense, Diplomacy, and Development -- are to be truly enabled as independently effective voices for Smart Power, then the chief of USAID + PEPFAR + MCC needs to be equally and properly empowered by Secretarial rank and all that that entails. This is the change we all need. "The culture of the internet, at its best, involves people working together to make life better. Sometimes called cooperative capitalism or social entrepreneurship, it is practiced every day by millions of individuals and a small but growing number of for-profit companies. [...] Robin's work [founding Zipcar carshare and GoLoco rideshare] illustrates what's best about people using the Internet: not well-intentioned yet futile do-goodism but business that's also a community service. It's about people using the Internet to work together in the service of one another." Great stuff. We need many more such shared solutions! 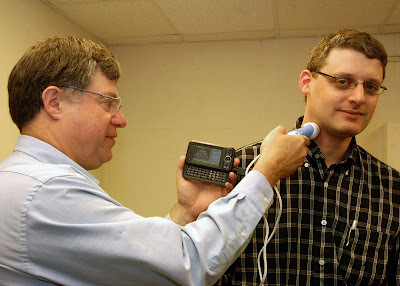 "William D. Richard, Ph.D., WUSTL associate professor of computer science and engineering, and David Zar, research associate in computer science and engineering, have made commercial USB ultrasound probes compatible with Microsoft Windows mobile-based smartphones." 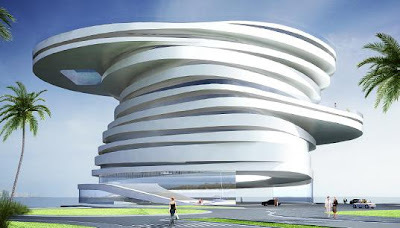 "Twenty-first century medicine is defined by medical imaging," said Zar. "Yet 70 percent of the world's population has no access to medical imaging. It's hard to take an MRI or CT scanner to a rural community without power." 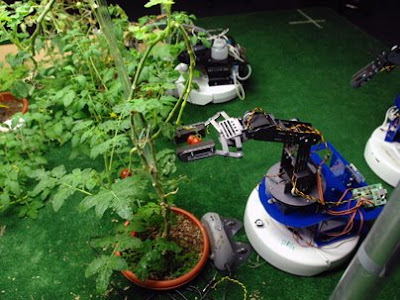 Richard and Zar have discussed a potential collaboration with researchers at the Massachusetts Institute of Technology about integrating their probe-smartphone concept into a suite of field trials for medical applications in developing countries. "We're at the point of wanting to leverage what we've done with this technology and find as many applications as possible," Richard said." Heifer International ~ "Give Not A Cup, But A Cow"
"The great thing about their model is that they don't just give out the livestock, they also educate the recipients on animal husbandry, kitchen gardening, and in some cases general nutrition. They further require that the recipients extend the benefit by giving one or more animal offspring to other families in need, and sharing their newly acquired knowledge. So one gift multiplies and expands to lift many households." Sliding Liberia ~ Sport, Tourism, and Delights! A West African surfing flick?! Yes, Sliding Liberia! Thanks to Paul at GeekPress for pointing me to the New Yorker article by Margaret Talbot about the Brain Gain: The underground world of “neuroenhancing” drugs. This is a good survey piece of the phenomenon, the social circumstances for users, the ethical implications and emergent legal crackdown, the competitive context and business dimensions, and more. Creative MIT students and friends have decided to livecast their Build Party at MITERS, the exploratory research society! Stay tuned for more live broadcasts from this epicenter of student inventiveness! Today's MIT Sustainability Summit is about exploring the opportunities and challenges of transitioning to a more sustainable world. A compelling mix of speakers and panels discussing the different dimensions of sustainability, including issues of poverty alleviation, clean and secure energy, urban renewal and regeneration, balancing eco-nomics with eco-logics, measuring success, the role of technological and organizational innovations, the role of design, and building capacity generally. Natural Beauty ~ Images of Earthly Delights! 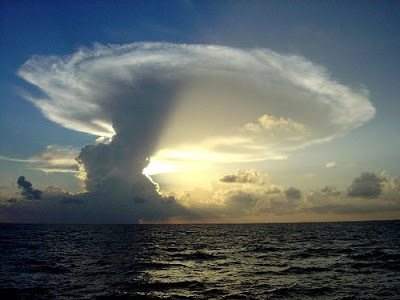 Lovely imagery, Earthly beauty, natural phenomena! Click for more! ...the largest online community for people to broadcast, watch and interact around live video. With more than 41 million unique visitors per month and 428,000 channels broadcasting live video, Justin.tv is the leading live video site on the Web, enabling users to create real-time connections with others around the world. Check it out. P.S. 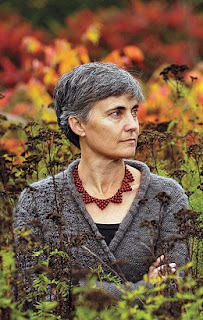 Uber props to MIT's pervasively essential Anne Hunter for both linking Kyle with his co-founders and for connecting him with Ramesh Raskar and me! 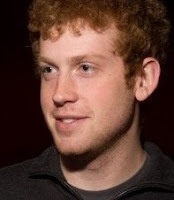 Plus interesting historical tidbits: Kyle worked for iRobot before starting as MIT Freshman and worked for Brontes before founding Justin.tv! 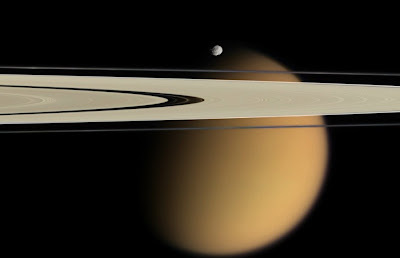 "We must colonize space in order to survive..."
And more. This is a theme I'm paying close attention to and will revisit here time to time. Please drop a line if you find examples of interest or have something compelling to add. "Collier is not charismatic, but his arguments are compelling." 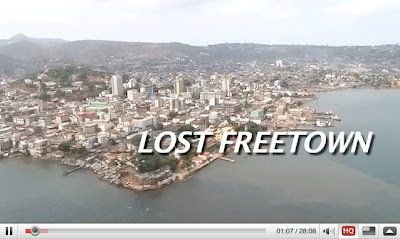 I just read A taste of Sierra Leone: A student report posted on the MIT Global Health Initiative blog by my colleague Anjali Sastry. Anusuya Das shared class-field experiences observing the fragmented and undercapitalized Sierra Leone hospital and care infrastructure. 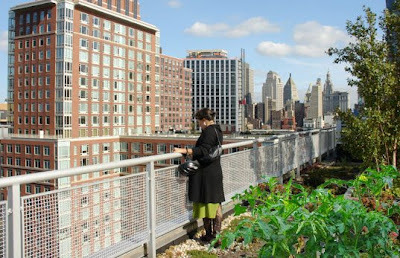 This got me thinking about how to uplift such infrastructure rapidly and effectively and with enduring consequences. Partly this is a larger challenge of accelerating development in exponential increments over time. But we need transitional solutions now. So in the case of healthcare, perhaps a greater role for hospital ships? I remembered that post Indian Ocean tsunami and post-Katrina, there were stories about US Navy hospital ships. Sure enough, the USNS Mercy and USNS Comfort. 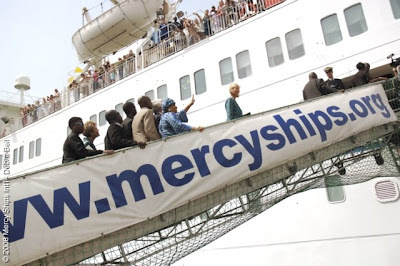 But it also turns out there's a wonderful organization called Mercy Ships which runs the largest non-governmental hospital ship, the M/V Africa Mercy which after visiting Liberia is now in Benin. What a great idea! To get an informal day-to-day sense of the inspirational work by the doctors, nurses, crew, and staff, check out Mercy Ship Adventure by South African Murray Tristan Crawford or Love for Liberia by American Katie O'Hara! Authentic Delight ~ Susan Boyle's Epic Unveiling! 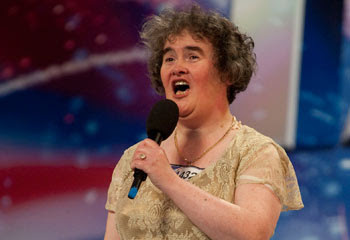 Right, I too agree Susan Boyle's epic performance in that UK talent contest is worth saluting as authenticity incarnate! Seemingly unlikely but totally delightful! Or in any case, bloody good acting. Global Maps ~ Earth Observatory Dynamic Data! 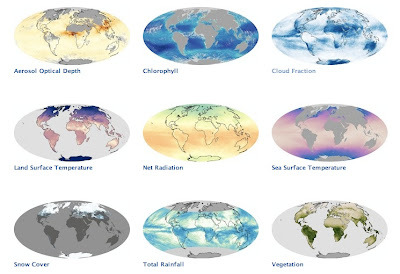 Wow, check out this really great NASA Earth Observatory site featuring dynamic Global Maps! The Longest Way ~ Christoph Rehage Walks! "The serpent seized farm worker Ben Nyaumbe in the Malindi area of Kenya's Indian Ocean coast at the weekend. Mr Nyaumbe bit the snake on the tip of the tail during the exhausting battle in the village of Sabaki. Police rescued Mr Nyaumbe and captured the 13ft (4m) reptile, before taking it to a sanctuary, but it later escaped. The victim told police he managed to reach his mobile phone from his pocket to raise the alarm when the python momentarily eased its grip after hauling him up a tree on Saturday evening. [...] The police officer said they took the snake to a sanctuary in Malindi town but it escaped overnight, probably from a gap under the door in the room where it was kept." 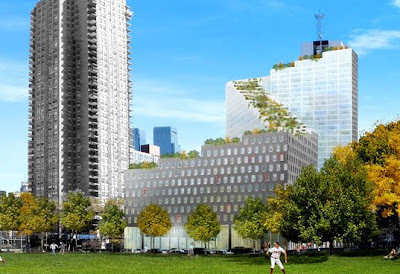 Sky Gardens ~ Libeskind's NYC Greenscraper! 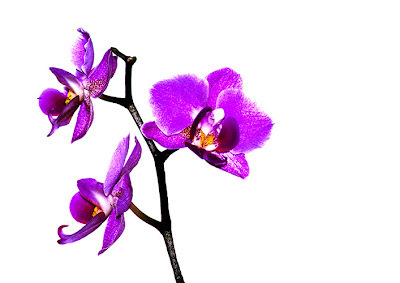 Orchids ~ The Art Vitaal of Beautiful Flowers! Business In Gaming ~ BIG Event at MIT Sloan! See also Changing The Game by Edery & Mollick. P.S. I just happened upon Erica Naone's Game Theory piece in Technology Review which goes into depth on several of these historic MIT ties! "Their success is remarkable and they cannot help boasting it is all down to this town's work ethic -- something the company's sales director Hani Hayat believes his compatriots would do well to emulate. 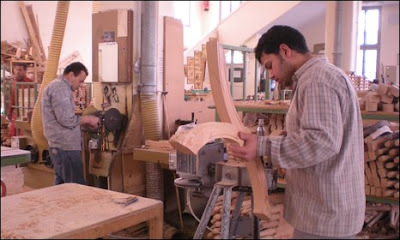 "We have worked all our lives, since we were children," said Mr Hayat. "I used to come home from school at lunchtime to work in my father's shop. In this town we are taught not to waste our time." This is a great example of an entrepreneurial Industry Cluster, one which other cities in Egypt and other regions could draw useful lessons from and perhaps seek to emulate. "...drawing a sharp contrast between African countries that have rejected the aid route and prospered and others that have become aid-dependent and seen poverty increase, Moyo illuminates the way in which overreliance on aid has trapped developing nations in a vicious circle of aid dependency, corruption, market distortion, and further poverty, leaving them with nothing but the “need” for more aid. Debunking the current model of international aid promoted by both Hollywood celebrities and policy makers, Moyo offers a bold new road map for financing development of the world’s poorest countries that guarantees economic growth and a significant decline in poverty -- without reliance on foreign aid or aid-related assistance." 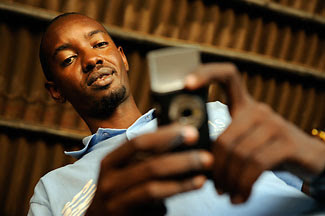 Be sure also to read Moyo's piece in the WSJournal Why Foreign Aid Is Hurting Africa. "...the past few years have seen remarkable economic progress -- skyrocketing Rwanda from a regional backwater to a can-do hub for technology and trade. 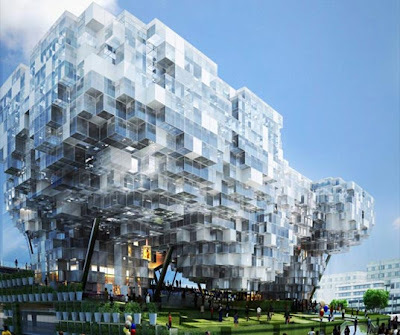 Now, Rwanda's butter-smooth roads are the envy of Africa, investors are pouring money in, and modern glass office buildings line the hills of the capital, Kigali, helping the country earn its status as the "Singapore of Africa." As Clark and other CSMonitor pieces about 15 Years After Genocide note, there are still deep-seated challenges in Rwanda, but the promise and progress of recent years is tremendous. Also, be sure to check out the in-depth Fast Company Special Report Rwanda Rising: A New Model of Economic Development by Jeff Chu. 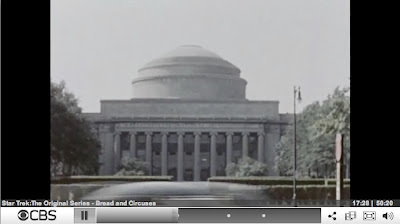 Nick Fontaine ~ MIT IDEAS Competition Inspires! 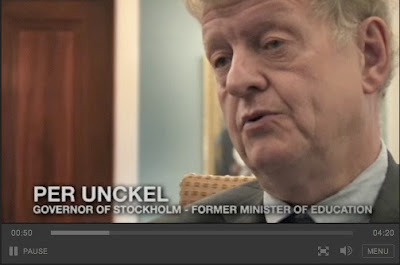 It was excellent to have MIT IDEAS Competition leader Nick Fontaine on my MaximizingProgress.tv show (f.k.a. HighTechFever) where he shared some of the exciting things afoot. The students have deadlines next week and then everyone can see the range of ideas at the Awards Ceremony on May 4th, 2009. Over the eight years of the IDEAS Competition, there have been hundreds of entries and dozens of projects and people who have gone on to make their ideas real, including XoutTB, InnovatorsInHealth, Ghonsla, AssuredLabor, Aerovax, CellBazaar, and more! Two of last year's IDEAS winners -- SHE Sustainable Health Enterprises & OneEarthDesigns / SolSource -- are this year Semifinalists in the MIT $100K Entrepreneurship Competition D-Track, which is also fantastic progress! 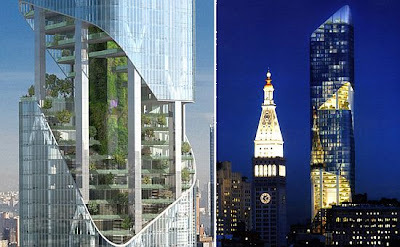 Lovely Greenscrapers ~ Verdant Vertical Villages! 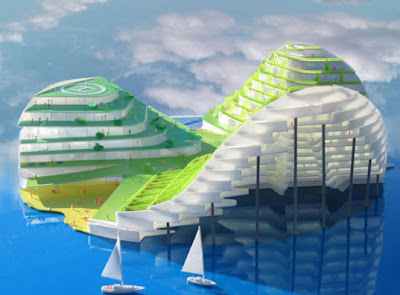 One of my favorite online design sites -- Inhabitat -- spots some of the loveliest green buildings and otherwise delightful designs! Micro-Billing ~ Will Pay On Mobiles; Free on 'Net? "Consumers are using their mobile phones to download tens of millions of games, songs, ring tones and video programs. And they shell out money for these items, even as they resist paying for similar digital goodies online using their computers. It is a curious equation: pay for stuff on a tiny, low-resolution screen while getting some of the very same games and video free on a fancy widescreen monitor. [...] the phone industry has had a micropayment system for decades. Ever since the local telephone company charged a customer an extra 35 cents to hear a recorded weather forecast, the phone industry has been charging for content. Couple that pervasive billing culture with the ability of consumers to get what they want, whenever and wherever they want it (playing Tetris while waiting in line at Starbucks, for example) and you have a powerful alchemy." It was wonderful to see IIM Professor Anil K Gupta speaking today at the MIT Media Lab on the theme of Grassroots Innovation and how he and colleagues are empowering such innovators and spreading their ideas via the Honey Bee Network! I first met Dr Gupta back in the Development by Design conference in 2001 organized by Nitin Sawhney and colleagues at the Media Lab. 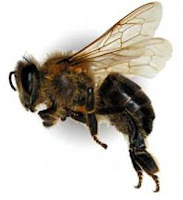 The Honey Bee Network just continues to grow and is increasingly becoming mobiles-powered, thus engaging some of the 80-100 Million new phone users per year in India alone! Dictatorial communist Chinese-puppet rogue state North Korea's unwelcome launch of a ballistic missile -- er, a "scientific exploration rocket" -- has put a spotlight on nuclear weaponry generally. And thankfully, US President Obama is keen to eliminate them altogether. Good riddance, I say, since they -- and all other Weapons of Mass Destruction -- are Fundamentally Immoral armaments. The indiscriminant killing of random humans is neither self-defense nor wise offense under any circumstance. And by this I deliberately lump together Bin Laden's butchery on 9/11 with American anihilation at Hiroshima and Nagasaki. Those were neither necessary nor rationalizable. In the WWII case, the Allies -- knowing they had atomic explosives -- could have waited and even demonstrated their power in a way non-lethal to innocent civilians. And "innocent" is the key word. The average Japanese was no more responsible for Tojo's authoritarian terrors than the average German was for Hitler's hypocrisy or the average Russian was for Stalin's mass slaughter. 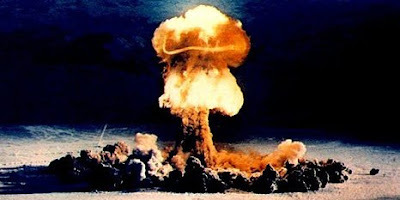 As I pointed out after hearing of Tsutomu Yamaguchi who was Nuked Twice (as were two others; see TimesOnline Asia Exile for more info), what we need now are rather Tools of Mass Construction! 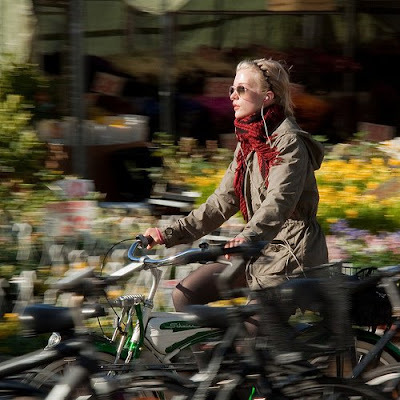 Cycle Chic ~ Stunningly Stylish in Copenhagen! A shout out to the stunningly stylish cyclists at Copenhagen Cycle Chic, an entire site dedicated to the beauties of (and on) the bicycle! Cardapult ~ Bryce Bell's BizCard-Sized Launcher! See how to DIY on Instructables! Total Control ~ Benoit Dierickx's Model Piloting! International Development Night @ MIT Museum! 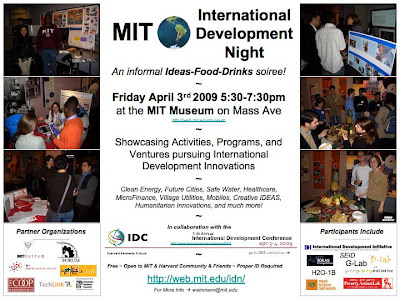 Join us at the Fourth Annual International Development Night 2009 @ the MIT Museum this Friday, April 3rd from 5:30-7:30pm! This fascinating expo and reception features the latest Prosperity Innovations coming out of MIT. These events are in conjunction with the International Development Conference at Harvard. EPIC! ~ Rosling on 200 Years of Global Dynamics! Still more work to be done before we have a First World, Worldwide.